With so many pressures and expectations upon us, stress is on the rise. An estimated 80% of all emergency department admissions - are now stress related. 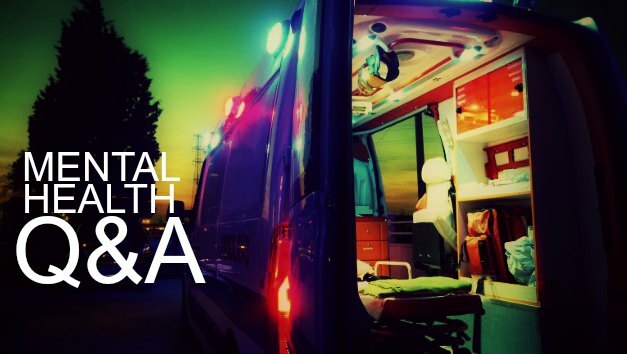 We asked Advanced Care Paramedic and Keynote Speaker Paul Spinks, some key questions about mental health. This Q&A session provides an insight into our current stress levels and its consequences. Perhaps most importantly, Paul discusses his ideas on how we can turn these alarming mental health statistics around, and create the change that so many of us need. Now is the time to start a conversation about mental health in the workplace, and Paul is presenting some of this content at public event - The WAKE UP Call, in Sydney on Tuesday 1st August. What is the most difficult element of your job? People often think our worst jobs are car accidents, blood and gore and whilst they can be difficult at times to deal with nothing compares to going into people’s homes, where we find them on their death beds, dying from illness, especially kids. People know their time is limited and we spend an hour or so with them, by the time you say goodbye, you know you are literally saying goodbye. Mental illness is the next big one, self- destruction, self -harm, families so broken and people wanting to end their lives as a result. Of course we go to people who have chosen to end their lives way too often, in the Ambulance service it is referred to as a 9 Echo 1, the images that you never unsee. What advice would you give to someone who is suffering with Mental Health but doesn’t know who to turn to? Waving the white flag, surrendering is the best thing anyone can do. The best port of call, a psychologist, and if you don’t like them, sack them and find another. People give up on getting help because they don’t strike a rapport with their therapist and then don’t try again. Way too often we hold our heads high and battle through to and try and conceal the illness. This often leads to further destruction which nobody learns from, and then all the family takes on the illness as well. This can sometimes go on for decades, if not a lifetime. My advice, get in early and save yourself and all those around you years of hardship. In the end though, all indecision leads to decision and the problem here is the risk of losing control of you and the price you pay could be with your life. What do you love most about sharing your stories at the front line with others? To pass on what is happening at ground zero in your neighbourhood, your workplaces, your friends and family. Ambulance sees what nobody else does; a snap shot of ordinary lives going extraordinarily wrong. It’s the ultimate workplace to show other people how we can all spiral out of control and the opportunity to prevent harm from anybody that chooses to listen. 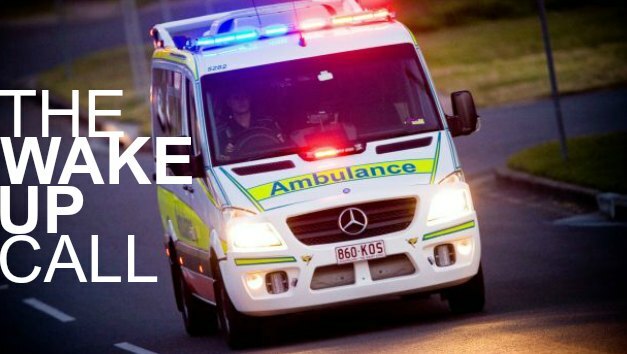 Fortunately, Paramedics are the country’s most trusted profession, so when you’re tired of everybody else telling you how to live your life, listening to a few raw stories from us normally silences a room. Do you have any daily practice/routine to help you stay positive and in tune with your mental health? Yes absolutely. To think that most of us get up each day and do nothing to service our mental health is absurd and a one way ticket to depressive illness. Work, Eat Sleep, Repeat ….if this is you, STOP now. If you are reading this and saying, “I don’t have the time,” then adhere to this statement. “If you can’t find the time to invest into your mental health, then sooner or later you will have to invest in ill health.” I always say to people to become an observer of life, look around you and notice what is wrong and then see if this is you as well. The classic example here is social media, please tell me you’re not the person out for dinner with your family and friends and staring at your phones! Start a conversation about mental health today and register for this Public event: The WAKE UP Call in Sydney. Paul's session is life changing, you will be compelled to share his message everywhere including the workplace, with your family and even in schools. "I just wanted to personally thank you for your presentation at Friday’s Annual Quarrying Safety and Health Seminar. I’d had many people come and say to me that your presentation was one of the best we’ve had and was very impactful. You said so many things that resonated with me as well, which has helped push the reset button after a few family matters I’ve been dealing with, so thank you."